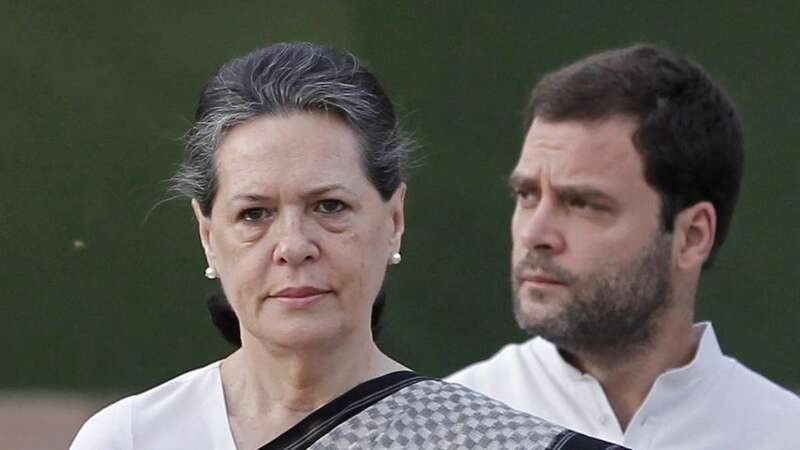 New Delhi : Congress President Sonia Gandhi and Vice President Rahul Gandhi on Monday condemned the killing of Amarnath pilgrims in a militant attack as a "crime against humanity" and asserted that India will not be be cowed down by such cowardly terror attacks. Former Jammu and Kashmir Chief Minister Omar Abdullah also condemned the attack and said these terrorists were the enemies of Kashmir and Kashmiriyat. "Every right thinking Kashmiri must today condemn the killing of the Amarnath yatris and say, unequivocally - this is #NotInMyName," he tweeted. Sonia Gandhi said that the attack was a crime against humanity and there should be probe into the lapses that led to it. She also called for decisive action against those attackers. "This attack on the devotees of Lord Shiva is a crime against humanity. The entire country is shocked. There should be decisive action against the militants and lapses in security should be probed," she said. Rahul Gandhi said: "I share the pain and anguish of families who lost loved ones in the terror attack on innocent Amarnath Yatris today. India will never be intimidated by these terrorist cowards. "This is a grave and unacceptable security lapse. The Prime Minister needs to accept responsibility and never allow it to happen again." Congress leader and former Jammu and Kashmir Chief Minister Ghulam Nabi Azad also condemned the killings. "It is unfortunate. The militants will have to pay through their nose," Azad said, adding it was to be seen if the militants involved were locals or from Pakistan. "Our culture, Kashmiriyat does not permit to kill people on pilgrimage... People born in Kashmir, even militants, will not commit such a crime," he said and hit out at both central and state governments for "miserably" failing to maintain law and order and control militancy. Some of the people I follow here need to stop peddling the "tourist bus caught in cross fire" bunkum. You can't be apologists for terror. Senior Congress leader P. Chidambaram said: "Every Indian including Kashmiris will condemn the attack on Amarnath Yatris. Yatris are the most peace loving people." "Militants responsible for the attack have put to shame the entire Kashmir valley and its people," he added. The bus was carrying pilgrims back from Baltal after performing the yatra. A CRPF statement said the bus was not part of the official yatra and not registered with the Amarnath Shrine Board.